Moletto Grappas are all single-vine grappas created by distilling the marc of just one variety of grape. They have a refined flavor and a unique bouquet of elegance. They are produced with traditional copper stills. 94 pts. - Beverage Testing Institute - Pale golden color. Suede, toasted Brazil nuts and fragrant baked plum and pear aromas with a melange of stone fruit, autumn fruit and golden raisin flavors with delightful acacia honey and heather accents reminiscent of a lowland Scotch. Finishes with fruit and spice and a dash of white pepper. 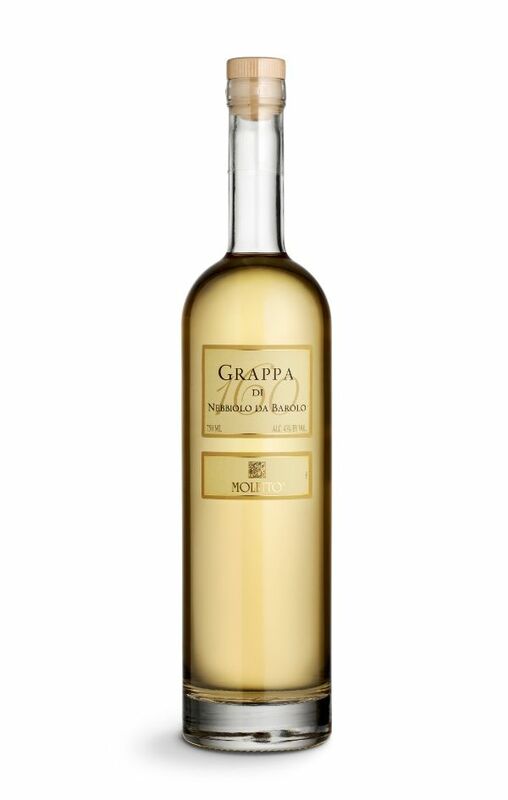 A superbly aged grappa, that is well suited after a big meal.